Microsoft has announced that it is bringing its popular SQL Server database software to Linux platforms for the first time, with its initial release scheduled for some time next year. In the world of GNU/Linux, the go-to standard hosting stack is LAMP: the Linux kernel, Apache webserver, MySQL database engine, and PHP scripting language. 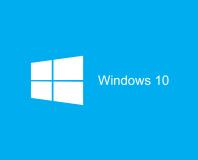 For Windows users, the equivalent was WISA: the Windows kernel, IIS webserver, SQL Server database engine, and Active Server Pages scripting engine. Those who prefer to forge their own path have long recommended a WAMP - Windows, Apache, MySQL and PHP - for those running Microsoft's server environment, but for the first time in history it'll soon be possible to go the other way and install SQL Server on Linux for a WASP stack. 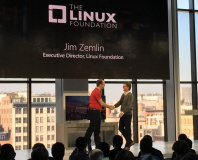 'I’m excited to announce our plans to bring SQL Server to Linux,' Microsoft's Scott Guthrie, executive vice president for the company's Cloud and Enterprise Group, said in a blog post published late last night. 'This will enable SQL Server to deliver a consistent data platform across Windows Server and Linux, as well as on-premises and cloud. Guthrie has confirmed that the company is running a private trial of the SQL Server Linux release beginning this week with a subset of total functionality, and is targeting a fully-functional commercial release by mid-2017. Pricing information has not been announced. Devil buys winter coat and scarf.